Throughout the twentieth century, Royal Weddings were events of majestic splendour. People would camp out overnight in the streets of London to get a prime location for the procession the next day. They would gather in their thousands to garner a glimpse of the newly married couple on the balcony of Buckingham Palace. Street parties were held up and down the country in celebration - the extravagance, the splendour, the sheer pomp and pageantry all combined to make for extraordinary scenes of patriotic pride and national unity. 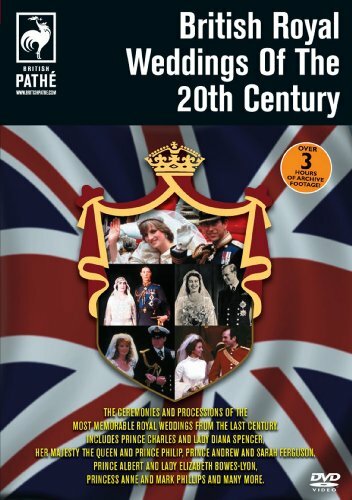 In this collection we relive all the major British Royal Weddings Of The 20th Century , seeing them just as the cinema audiences of the time would have experienced them. Join us in a comprehensive and nostalgic look back at some of the most memorable and extraordinary days, in not just royal history, but in the history of Britain.